Though we’ve been following Kristine Five Melvær’s work for a few years now, we expect to see big things from the Oslo designer. 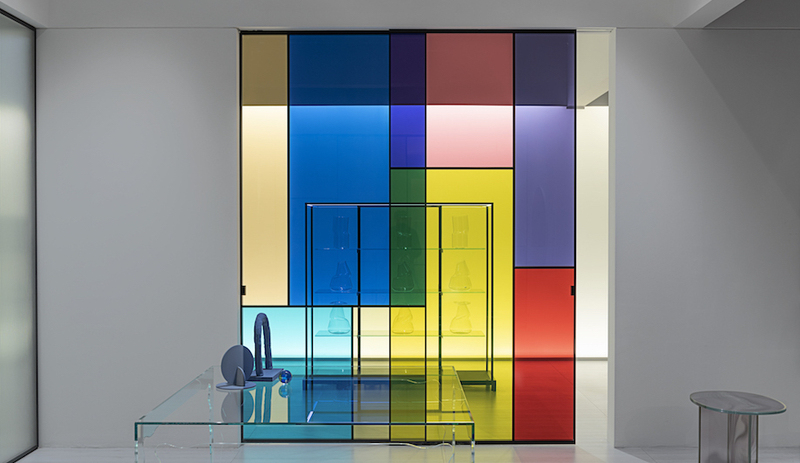 Her education in industrial design, architecture and graphic design has informed a portfolio that is a colourful collection of contrasts, consisting largely of textiles and glass. 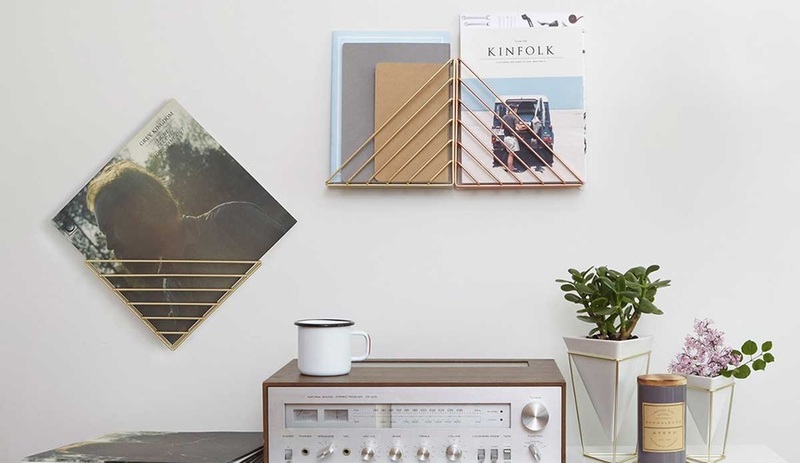 To date she’s launched products with a handful of Scandinavian brands, including a number of glass vessels with Magnor Glassverk, as well as Norwegian wool blankets with Røros Tweed. 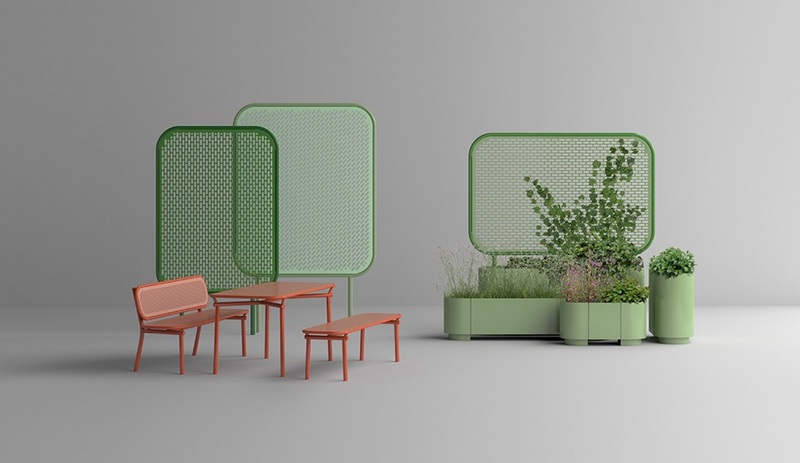 In 2016 she launched her first furniture, the Pop series from Scandinavian brand Vestre, a line of public seating, planters and bollards which has recently been expanded with new surfacing options. Melvær will have reason to celebrate this International Women’s Day – she’ll accept the Scheibler Design Award 2017 at the National Gallery in Oslo on March 7th. 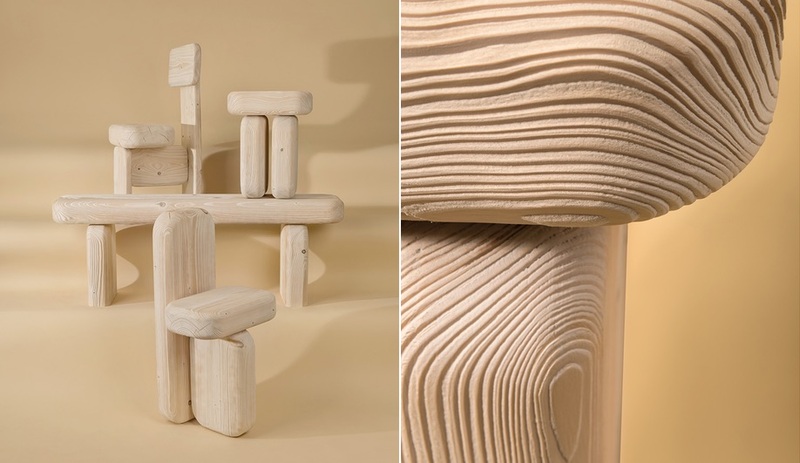 It’s hard to resist the urge to touch one of Lisa Ertel’s wood objects and furniture pieces that make up a collection called Dune. Their rounded corners and buffed surfaces have the look and feel of velvet. 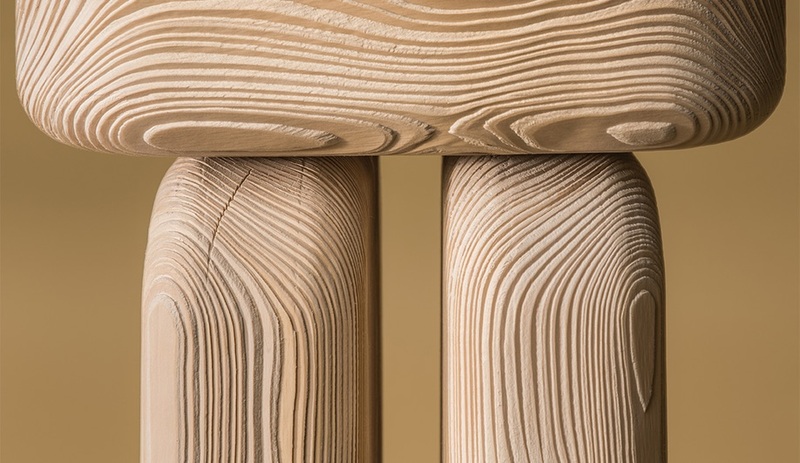 The softness is a result of sandblasting, a technique that Ertel says imitates the forces of nature by dissolving the wood to expose the tree’s natural wood grains. Originally made as the designer’s final year project at the Karlsruhe University of Arts and Design in Germany, the Dune collection was presented at Milan Design Week last year. 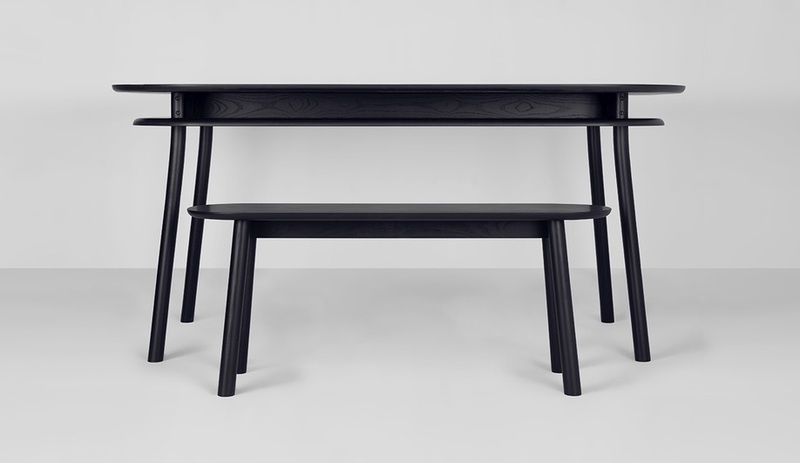 It also won the Ein & Zwanzig (One and Twenty) Award, handed out each year by the German Design Council to recognize and celebrate innovation in product and interior design among recent graduates. 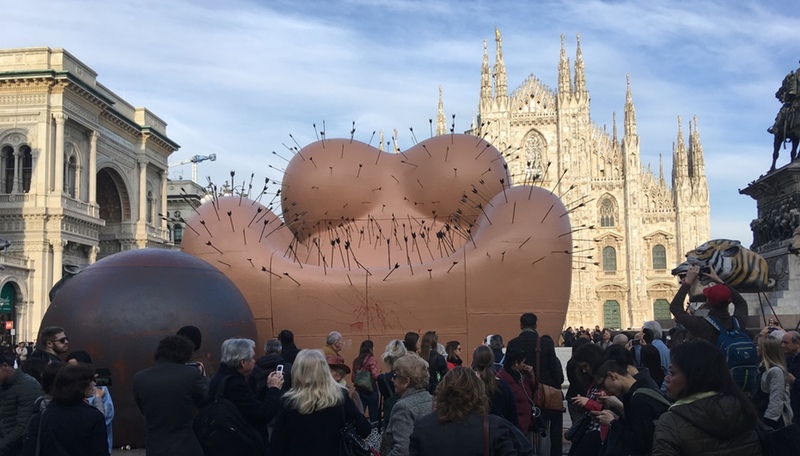 Examining the links between art and architecture is at the crux of the design work done by Ania Jaworksa, currently an assistant professor in the School of Architecture at the University of Illinois at Chicago. What sets Jaworska apart from many of her contemporaries exploring the same themes, however, is the humour, wit and cultural awareness on display in many of her pieces. 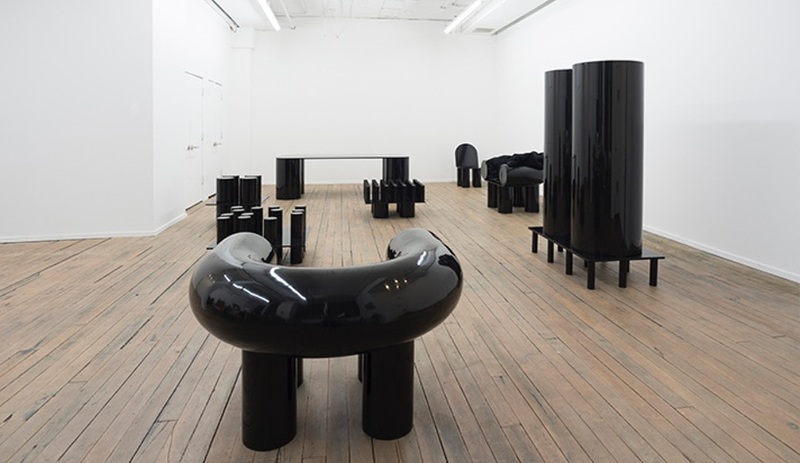 A 2015 series of sculptures called Cynic Architectures, for instance, pokes fun at symbolic architectural barriers (a gate, a velvet rope) isolated in absurdist fashion, while 2017’s Set, a collection of bulky, lacquered-wood furniture (pictured here), exaggerates common domestic objects in order to reshape attitudes about the spaces we occupy. Last year, Jaworska became a finalist in MoMA PS1’s Young Architects Program. Expect big things from this uniquely talented iconoclast. In her growingly decorated career, Taiwan-born, Montreal-raised, London-residing designer Chifen Cheng has earned a number of awards for her elegant, effortlessly flexible designs. 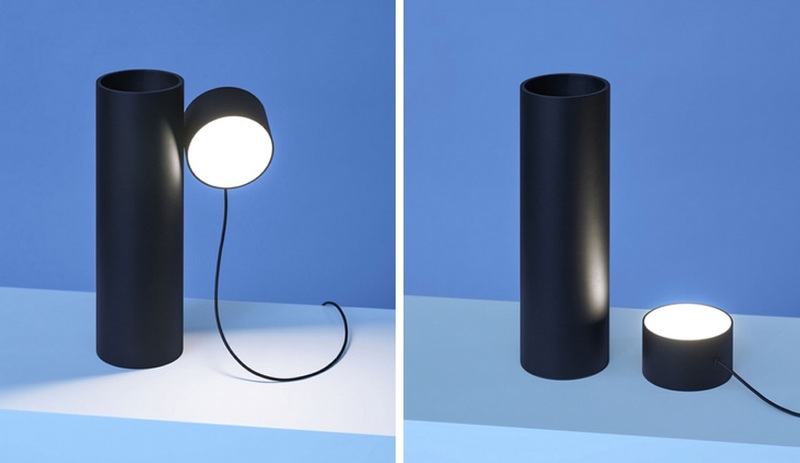 Cheng, who is currently completing her Master’s degree at the prestigious Royal College of Art, first came on our radar at IDS Toronto 2014 with a marvellous geometric lamp, and she has only solidified her aesthetic since. 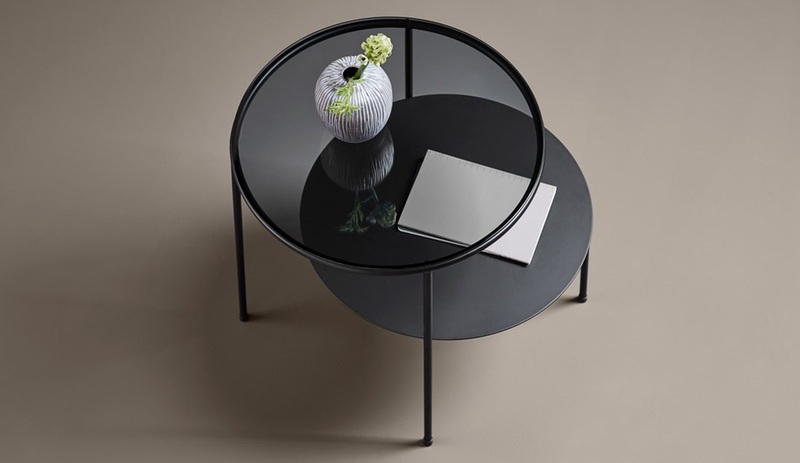 Her Duo Side Tables (above) layer glass and metal circles into a delicate Venn diagram; her Knife Reinvented is the intersection of a mortar and pestle and salad server; and Trickle and Strum, her designs for Umbra Shift, transform brass and copper into magazine shelves, LP displays and small-space solutions. We suspect the best has yet to come. A former employee at the studio of Patricia Urquiola and former head designer for French architect India Mahdavi (and the granddaughter of a Moroccan wool refiner) Marie-Victoire Winckler is no stranger to design and workmanship. She’s been immersed in creative artisanal thought since childhood. All that experience led her to start her own studio in Paris in 2016, developing a line of furnishings and objects that reflect her interest and in-depth knowledge of traditional craftsmanship. 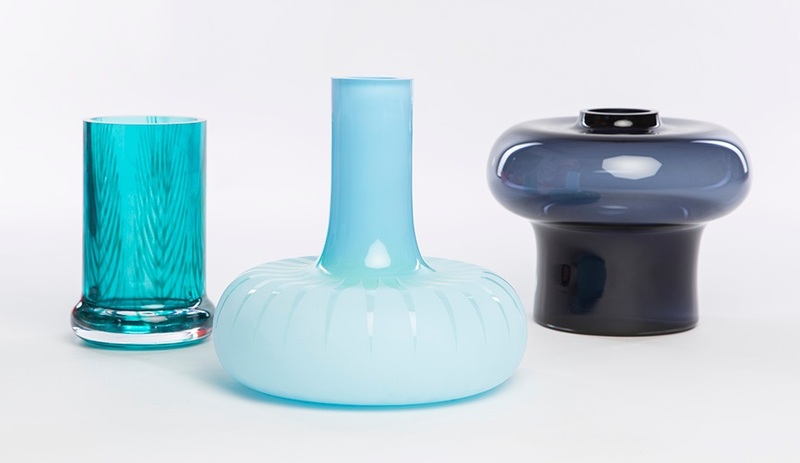 The collection that first caught our eye is Totem, a colourful family of glass vases hand-blown in Tunisia. 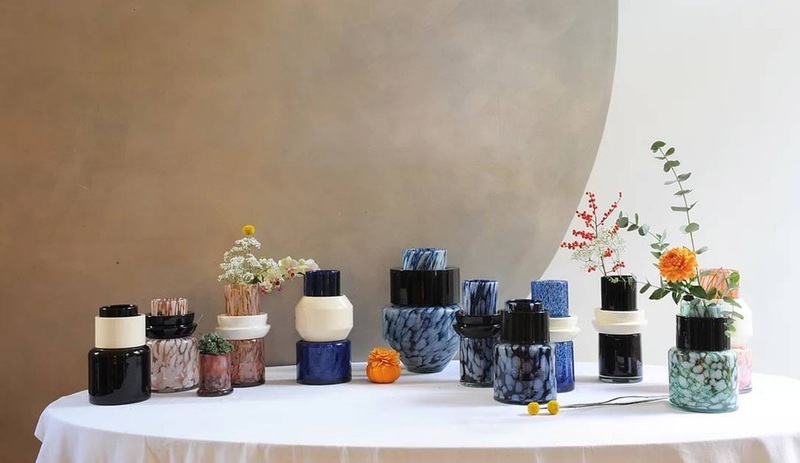 On display during London Design Week at the eponymous design gallery Mint, the vases are chunky stacks of geometry that looks as though carved from stone. As a student at Central Saint Martins College of Art and Design in London, Singaporean industrial designer Olivia Lee was handpicked to represent her cohort in a branding workshop at LVMH. She has never looked back. Her graduation project, called Limited Edition Designer Dolls, went viral, garnering her a guest illustrator role at ICON Magazine. In 2013, she established her eponymous design practice back in her home country, where she also teaches in the National University of Singapore’s Division of Industrial Design. 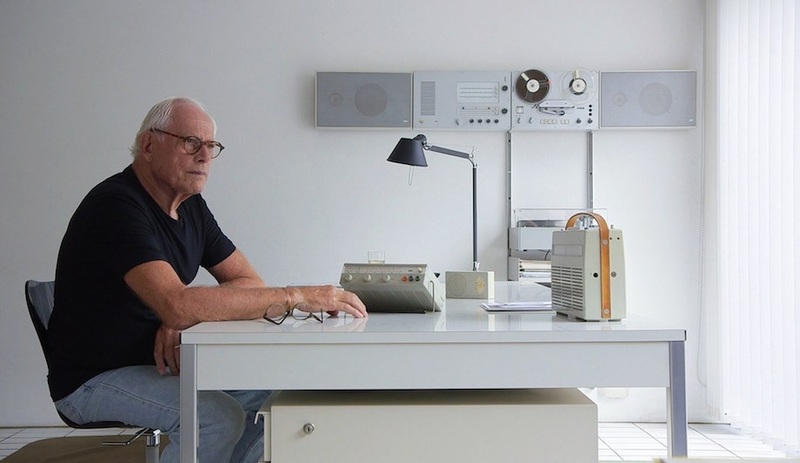 Lee’s work – which includes, most recently, an overtly feminist series of furniture, rugs and accessories called the Athena collection (shown here) – has been hailed and displayed worldwide. 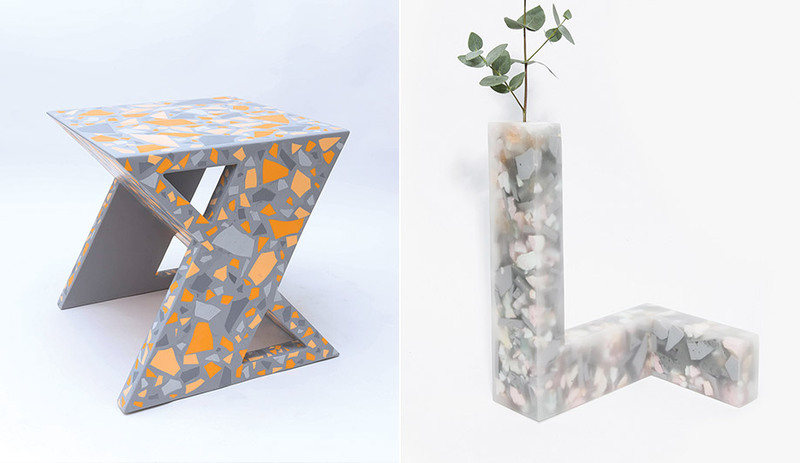 In 2017, she was recognized by design media as one of the top eight emerging designers at SaloneSatellite in Milan. 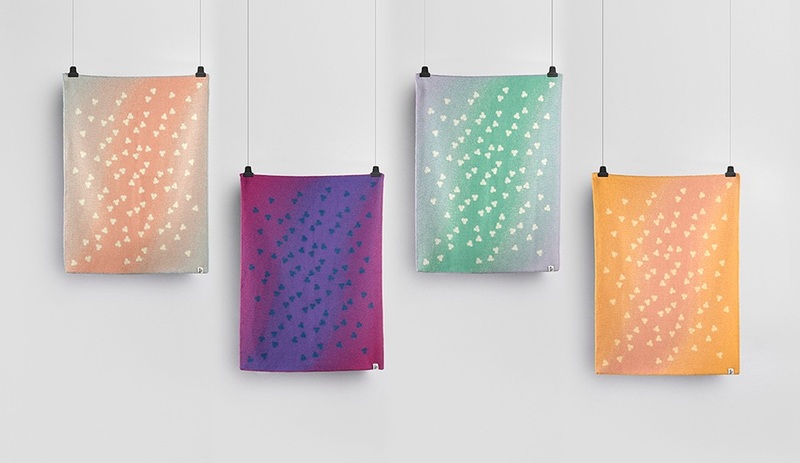 The woman behind Rotterdam’s Earnest Studio, Rachel Griffin was born in the U.S. and worked there as a graphic designer before moving to the Netherlands to earn her bachelor of design from the Design Academy Eindhoven’s Department of Man & Living. Her work reflects these two disciplines with their dual nature: her user-friendly pieces are often modular and designed to be used in two different ways. 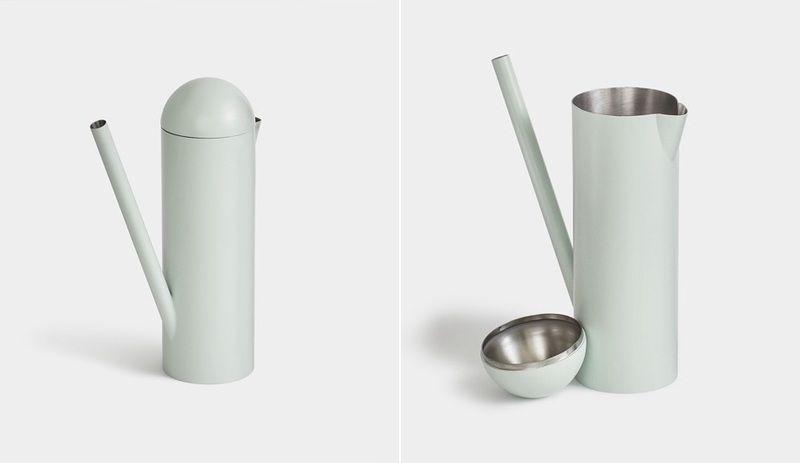 For instance, the Deuce watering-can-meets-carafe (above), from Umbra Shift, allows users to share a drink of water with their plants. A collaboration with French designer Emilie Pallard, Deuce is just one of many co-creations among Griffin’s portfolio. “Working with other people is where I’m at my best,” she told Azure last year. She’s also collaborated with Canadian designer Dana Cannam. Armed with a masters in cultural anthropology, Helsinki-based designer Maija Leskelä brings a unique perspective to her objects, one that is also influenced by the arctic environmental characteristics of her northern Finland roots. But there is nothing severe about her work, which reflects the connection she sees between ecology, society and culture. Her approach manages to be at once angular, elegant and feminine. Case in point, her Puffin collection of seating (above). 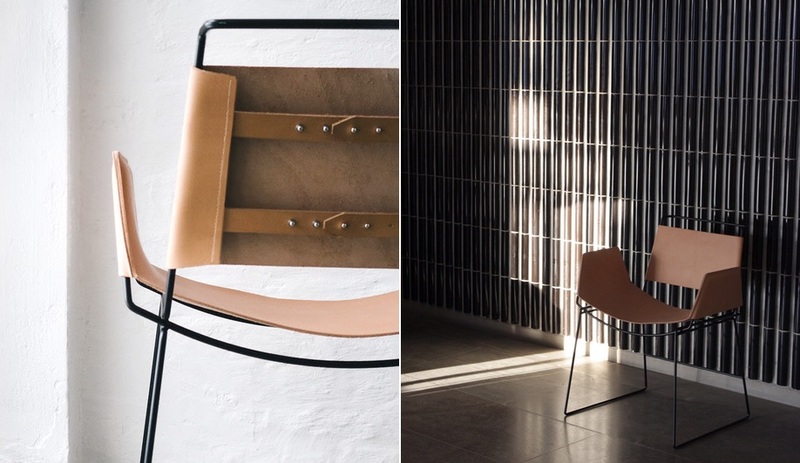 Informed by steel-rod Bauhaus chairs, Leskelä has reinterpreted their masculinity into something slightly more delicate but no less striking. 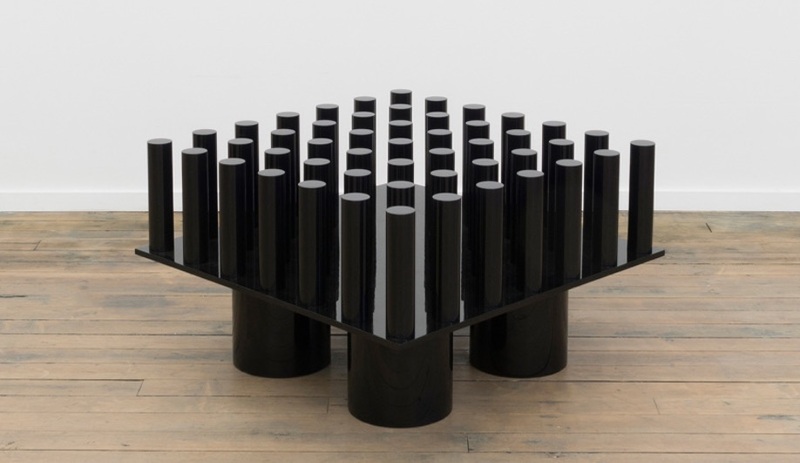 Thin black metal rods form a pleasing geometrical base, and in a playful twist she has dressed them in untreated leather sleeves fastened with metal studs that can be easily removed and replaced. 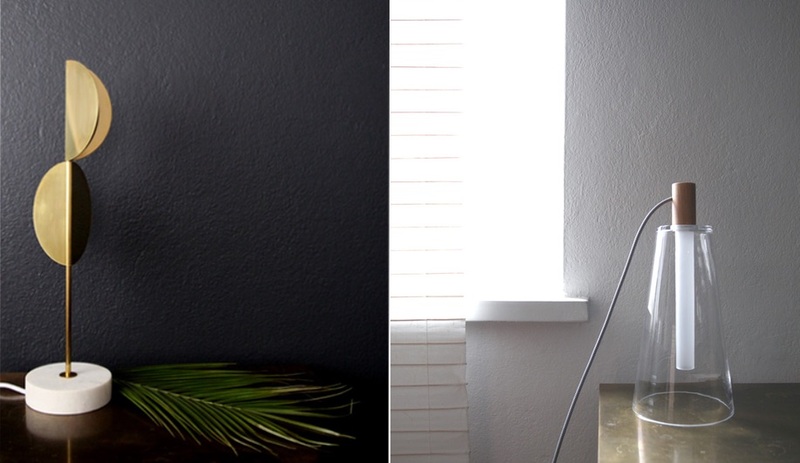 Currently working towards her second masters, this time in furniture design at the Aalto University School of Arts, Design and Architecture, Leskelä’s cultural and ecological leanings are perhaps more evident in her Lyhty lamp (above right), whose clean cone shape was inspired by storm lanterns and the deep Nordic darkness. Made of two simple parts – a slender light tube housed in a clear glass cylinder – the illumination shines both upwards and outwards casting a misty, romantic effect. 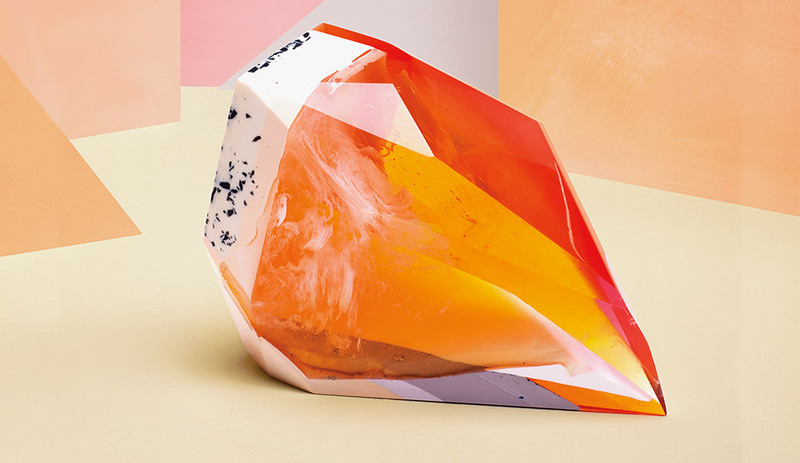 The work of the London’s Zuza Mengham sits at the intersection of industrial design, sculpture and traditional craft. 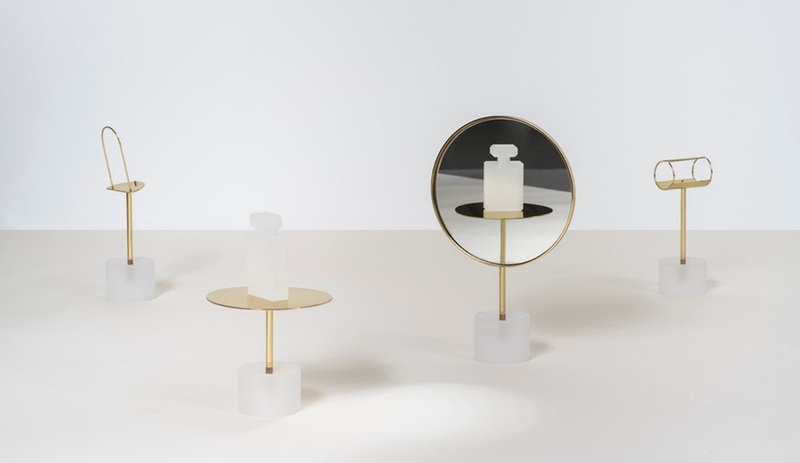 Chosen by Tom Dixon as a Rising Talent at Maison & Objet, Mengham pushes material boundaries, tweaking familiar forms to create objects that look like something else entirely. 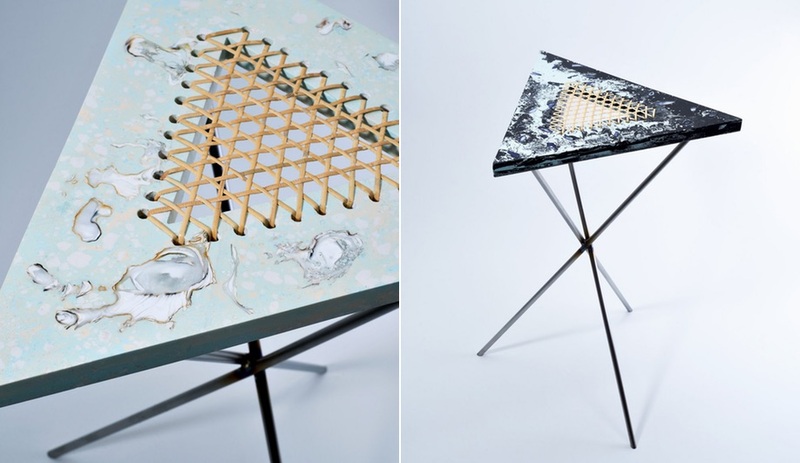 Her Nexus chair (above), for example, uses resin on a birch plywood core – though it resembles otherworldly terrazzo. 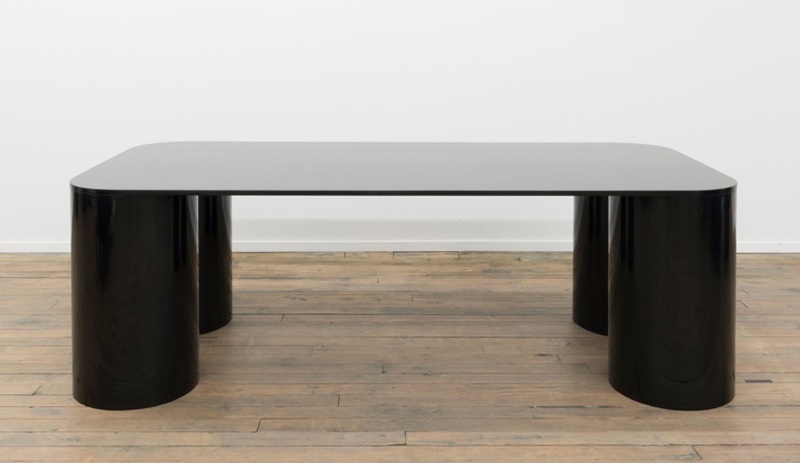 Elsewhere, her limited-run Oyster and Mussel tables, sold at Riposte Magazine and KK Outlet, are sculptural tables are made from jesmonite and sea shells, perched atop stainless steel frames. The iridescent shells have an shimmer that feels both organic and unfamiliar – just one of the ways Mengham has us thinking about materials differently. Much of her work has a distinctive jewel-like quality (including this ping pong racquet). 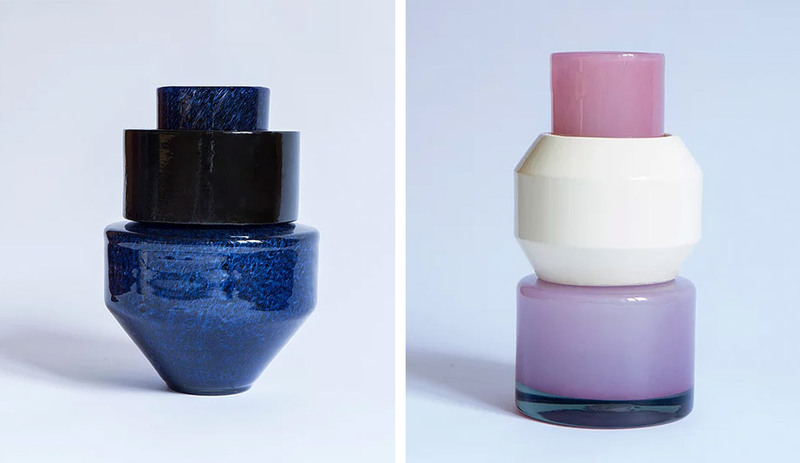 For her Laboratory Perfumes project at the London Design Festival, for instance, Mengham imagined five perfumes as geometric sculptures. Where her material explorations go next can’t be predicted – though she promises to show two new pieces at the Battersea Art Fair.